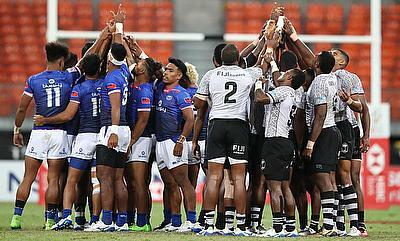 Fiji, USA and New Zealand remained unbeaten in the opening day of the Sydney leg of HSBC Men's World Rugby Sevens Series on Saturday. The three teams have progressed to the quarter-finals of the tournament along with South Africa, England, France, Spain and Australia as they compete for the title on Sunday. The winners of Cape Town and Hamilton 7s Fiji did no harm to their reputation as they put on another terrific performance with 29-5, 14-7 and 22-12 wins over Japan, England and Samoa respectively to top Pool A while England recovered with wins over Japan and Samoa to finish second. USA just like Fiji maintained their consistency and blanked France and Kenya 7-0 and 41-0 respectively and followed it with a 36-14 victory over Canada to become the first team in the group to make it to the quarter-finals while Canada and France had a shoot out for the second place which France managed to win 12-17 to take the second place. 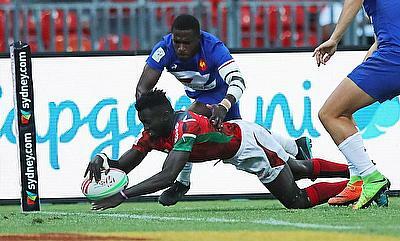 Canada and Kenya missed the top eight berth with five and three points respectively. New Zealand intimidated the group with 27-14 win over Wales and followed it with convincing wins over Spain (41-0) and Scotland (42-0) to take the pole position in Pool C. While Scotland lost all the three games to finish last while Spain knocked out Wales with a 21-5 victory in the deciding game. The most competitive group among the four saw South Africa, Australia and Argentina struck with two wins and seven points apiece. 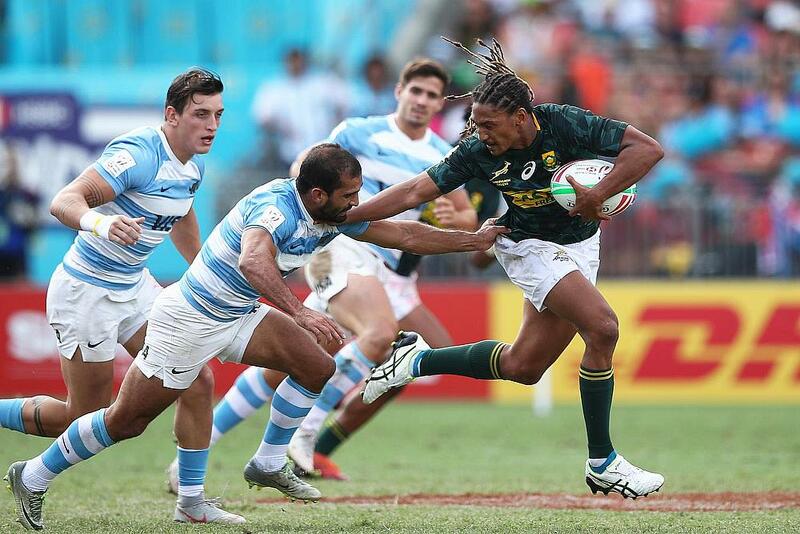 As Tonga went on to lose all the three games, South Africa and Australia with superior point difference progressed to the quarter-finals with Argentina missing out.